Broccoli from China, berries from Chile, brussels sprouts from the Netherlands. Last year, New Zealand imported more than $38 million worth of frozen fruit and vegetables but our survey found it’s not always easy to tell where these products come from. Frozen fruit and veges are a great standby in the freezer, perfect for throwing into a casserole or adding to your breakfast smoothie. But you shouldn’t assume that frozen goodness has been picked and packed in New Zealand. We checked out country of origin statements of frozen berries and veges in the supermarket freezer. We found spinach and broccoli from China, mashed potato made in Belgium and strawberries from Peru. However, of the 81 packets we looked at, 17 had vague statements the product was made or packed in New Zealand from local and/or imported ingredients or packed in New Zealand from imported ingredients. This meant it was impossible to tell from the label where the food came from. Talley’s is the only company in our survey that uses 100 percent New Zealand produce. According to Bob Darragh, Talley’s national sales manager, it’s the company’s point of difference. “We’ve only ever run out of spinach so we didn’t sell that product for a while. And to get around availability issues we vary what’s in our frozen vegetable mix depending on what’s in season,” Mr Darragh said. Most of the berry companies in our survey are upfront about where their berries come from. At the time of our survey, berries were out of season but most companies had printed the origin statements on the pack. Sujon and Oob Organic list the multiple countries of origin in their mixed berries. 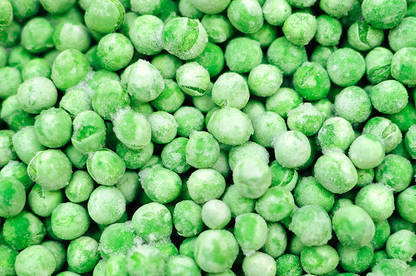 When it comes to frozen veges, companies don’t have a consistent approach to labelling. McCain says on the packaging its broccoli comes from China and brussels sprouts from the Netherlands. But its frozen capsicums, cubed pumpkin and sliced mushrooms are “packed in New Zealand from imported ingredients”, so could come from anywhere. A spokesperson for McCain told us it sources the majority of vegetables from New Zealand, and smaller quantities from South Africa, China, Europe and North America. Wattie’s tells you where its New Zealand-grown veges come from (even down to the region). However, Wattie’s free-flow spinach and some vegetable mixes have vague statements about their origin. 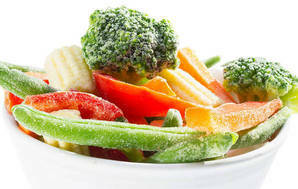 Mike Pretty, managing director for Heinz Wattie’s, told us more than 80 percent of vegetables used in its frozen vegetable products were grown in New Zealand. But for a variety of reasons, including product availability, it sources some ingredients from Belgium, China, Ecuador, Guatemala, Spain, Thailand and the USA. It’s a similar story for supermarket house brands. Some products state their country of origin, while others state “made in New Zealand from local and imported ingredients”. A Countdown spokesperson told us this statement on its products meant more than 50 percent of the ingredients came from local sources (if “imported” was first in the statement, then more than 50 percent of the ingredients would be imported). Foodstuffs said it used the statement on multi-ingredient products that contain New Zealand and imported produce. Under the Fair Trading Act, any claims about a product’s origin must not be misleading or deceptive. If a product claims to be “Product of New Zealand”, the essential character of the food must be created in New Zealand. “Made in New Zealand from local and/or imported ingredients” gives no guarantees about the product’s origin. Packaged food must have contact details for distributors or manufacturers but, with the exception of wine, country of origin labelling is voluntary. In 2005, the government opted out of joining Australia in mandating country of origin labelling under the Food Standards Code on the grounds it would be an impediment to trade. The government and some big export players in the dairy and meat industry, such as Beef & Lamb NZ, are against compulsory country of origin labelling. These groups believe a voluntary system, backed by the Fair Trading Act, is a better option. These are their main arguments. According to the Ministry for Primary Industries, knowing the country of origin doesn’t convey whether a food is safe or suitable. This is established by food safety measures such as pre-clearance arrangements with countries from which we import and monitoring compliance with food safety laws. In addition, imported high-risk foods (such as some cheeses and seafood) are checked at the border. But border controls aren’t fool-proof. The venomous spiders recently found in imported Mexican grapes is a case in point. Increasingly, consumers want to know where their food is from so they can make informed choices about what they buy. A 2013 study by Massey University published in the Journal of Market & Social Research concluded consumers’ desire to know the origin of fresh produce was high and their support for mandatory origin labelling was strong. Study co-author Dr Judith Holdershaw, senior lecturer in marketing at Massey University, told us there was a clear country of origin effect when the origin was available to respondents. “Eighty-seven percent of respondents in our study wanted mandatory labelling for all fresh fruit, meat and vegetables. And when asked how often they looked for this information more than half said often or always,” Dr Holdershaw said. Product safety isn’t the only issue – supporting local producers and the local economy, reducing the food miles on the food they eat, and avoiding certain countries for ethical reasons such as workers’ rights also influence consumers’ purchasing decisions. A cost-benefit analysis undertaken in 2005 by the New Zealand Institute of Economic Research for Food Standards Australia New Zealand concluded the cost of country of origin labelling exceeded the benefits to consumers. The report estimated the likely costs (with mid-range assumptions) would be $60 million. Some manufacturers claim they’ll need systems for tracking where ingredients come from and will also have to change labels. Industry says these costs will be passed on to consumers. But manufacturers already have systems in place for tracking where their food products come from – or they should have. A McCain spokesperson said the company has a certificate of analysis for each delivery of vegetables. Countdown has a quality assurance programme to ensure its house brand products are fully traceable. At Wattie’s, the same checks are applied to imported and local ingredients. Manufacturers often change packaging for marketing promotions. The practice of laser-printing the country of origin on the label that some berry companies use is an example of how the information can be provided without the cost of a complete packaging change. Some meat and dairy industry groups say we need as much flexibility as we can for marketing our food. Ashley Gray, marketing manager for Beef & Lamb NZ, told us mandatory country of origin labelling could be used as a trade barrier. It recognises country of origin labelling is becoming more important to New Zealanders and is committed to voluntary labelling. But it argues the voluntary uptake of labelling demonstrates the lack of a need to make it mandatory. Horticulture New Zealand and New Zealand Pork disagree. They are part of a campaign to make labelling mandatory. Horticulture New Zealand communications manager Leigh Catley said most of our major trading partners, such as Australia, China, the UK and the US, require some country-of-origin labelling. “It’s hard to argue that this will affect our relationship with these countries and at the very least we should match Australia’s policy,” Ms Catley said. If the label doesn’t tell you where a product is from, ask the manufacturer. 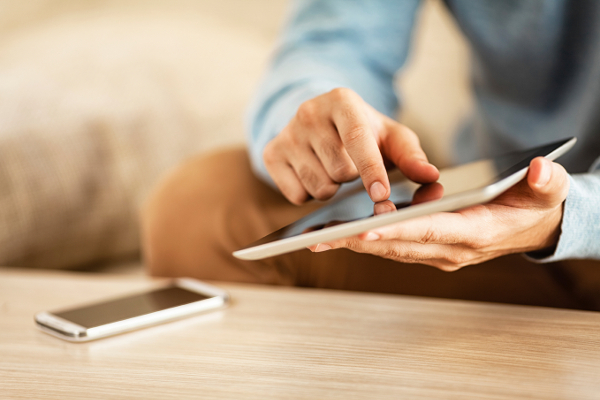 If you don’t get a satisfactory answer, buy another product that gives you more information. Know the difference between “Made in New Zealand” and “Product of New Zealand”. Product of New Zealand means it was grown here. We think it’s time the government reconsidered its position on country of origin labelling. Homebrand Minted Peas Made in New Zealand from local and imported ingredients. McCain Capsicums Packed in New Zealand from imported ingredients. McCain Cubed Pumpkin Packed in New Zealand from imported ingredients. McCain Sliced Mushrooms Packed in New Zealand from imported ingredients. McCain Stir Fry Supreme Vegetables Made in New Zealand from local and imported ingredients. McCain Winter Vegetables Made in New Zealand from local and imported ingredients. Select Garden Stir Fry Made in New Zealand from local and imported ingredients. Signature Range Whole Baby Carrots Packed in New Zealand from local and/or imported ingredients. Wattie's Broccoli and Cauliflower Medley Packed in New Zealand from imported ingredients. Wattie's Free-flow Spinach Packed in New Zealand from imported ingredients. Wattie's Mixed Vegetables Rainbow Made in NZ from imported and local ingredients. Wattie's Steam Fresh Vege Mix (carrots, broccoli, cauliflower) Made in NZ from imported and local ingredients. Wattie's Super Sweet Corn Cobs Packed in NZ from imported ingredients.